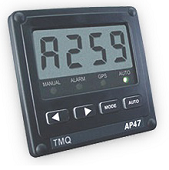 TMQ autopilots are renowned for their durability, reliability, accuracy and ease of operation. 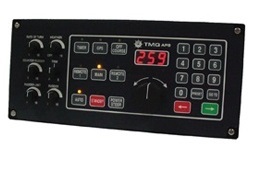 Over 30 years of experience in the design of marine auto pilots for the commercial fishing industry is evident in the quality of the entire range of TMQ auto pilots. Our commercial autopilots are designed and made for operators who are using the equipment to help them make their life at sea easier and safer. Reliability is off the highest importance, ruggedness to stand up to years of work, and to give ease of operation. Ergonomic and rugged commercial best seller. 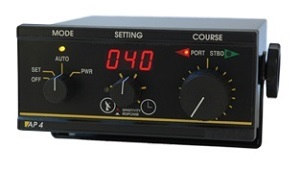 The front panel features large control knobs for ease of use in all sea conditions. The autopilot can be integrated to GPS to give waypoint steering. Simple control with large rotary knobs. Current: Manual – 0.4 amps. Precision steering available through additional display information. A practical and ergonomic approach to design means the AP9 settings can be quickly adjusted by rotary control or touch pads. Precision steering is provided through rate of turn, rudder limits and counter rudder in addition to standard, rudder and trim controls. Timer – Adjustable or fixed for use as a commercial watch alarm. Luminescent front panel for ease at night. Factory designed to have two remote steering positions. Standard Components: Main control panel, heavy duty rudder feedback unit, mounting hardware and brackets, operation manual. Versatile Leisure based autopilot for mariners with restricted space available. Over 30 years of TMQ’s manufacturing and design experience have gone into our leading small boat autopilot. The AP-47 brings all the features of the more expensive models into a single compact unit that provides performance and reliability for the recreational user. The perfect solution for mariners with restricted space on a limited budget. Large, easy to read backlit display. Simple operation with push button controls. Attractive styling compliments existing vessel layout. 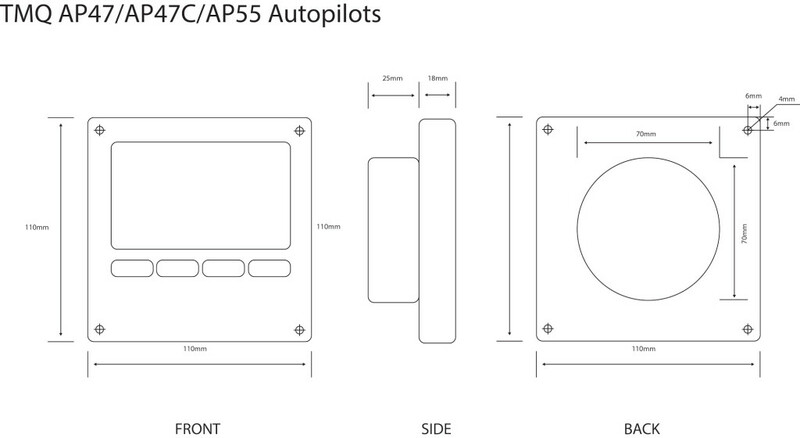 Compact Autopilot with GPS integration options for waypoint steering. The AP55 is similar in style to the AP47 but has extra features. Multiple display heads and remotes can be connected to the master control unit. The autopilot can be integrated to GPS to give waypoint steering. 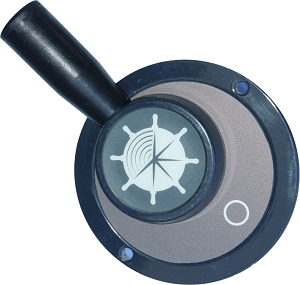 Add optional hand remotes to control your vessel from more then one position. Large LCD display and simple operation. Average 1.5 Amps from the MCU. Now with colour LCD, simplified setup and installation and more. Now with colour LCD, simplified setup and installation, the AP47C offers the same easy to use functionality and compact styling as the AP47, TMQ's most popular small boat autopilot. TMQ have had 35 years of product support backed with a 2 year warranty* and benefits from localised priority service and support. *Warranty is extended to 3 years when registered with TMQ. Rudder feedback options, RAI, Electronic Compass and more. Hand remotes and active remotes provide the freedom to maintain full control of the autopilot and steering while moving about the vessel. 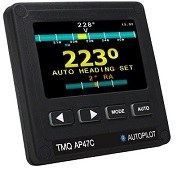 The TMQ Electronic compass is solid state with rate sensors for use when accuracy and a stable heading sensor is required for use with autopilots and radar MARPA. This electronic compass has no moving parts to prevent mechanical wear-out, small size and high reliability. 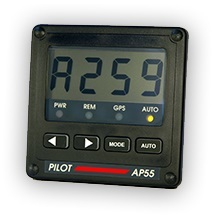 The solid state electronic Compass ECS is tilt and roll compensated up to 35 degrees. The standard rudder feedback is linked mechanically to the rudder drive tiller or quadrant and provides constant rudder position information to the auto pilot or rudder angle indicator. Some pilots require different configurations of rudder feedback. Mechanical Drive units in 12VDC to suit vessels with existing mechanical steering. Supplied with standard chain and sprocket. Interface your autopilot to 0-10V systems. Programmable Voltage ranges. Will work on a wide range of Systems. Will interface with TMQ AP9, AP9S, TMQ Cdrive drive units. 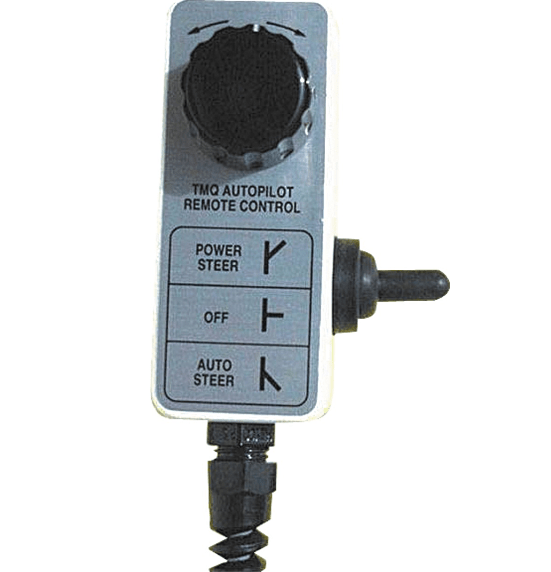 Provides an autopilot interface to most Z-peller Style Systems. A heavy duty rudder feedback is recommended where the auto pilot is installed in commercial work boats, professional fishing vessels or larger recreational vessels used regularly, (game boats). The Rudder Angle Indicator is a flush mounted instrument providing a clear indication of current rudder position, which is critical when docking or manoeuvring in close quarters, with other vessels. Providing ultimate power steering for your vessel.